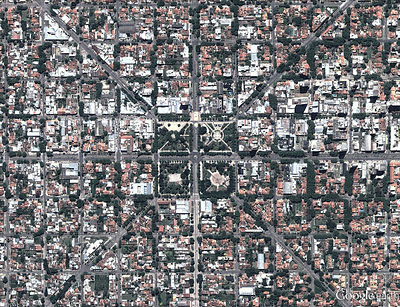 and Maps Imagery Team from updating aerial and satellite imagery throughout the globe. Today, we’d like to share several interesting features identified in this latest release. 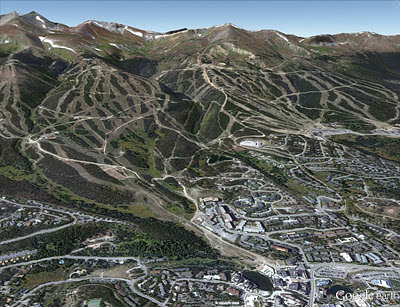 The first example shown below is part of an aerial image acquired this past September of the ski slopes in Breckenridge, Colorado. The slopes have already accumulated several inches of snow over the past few weeks and although it’s still very early in the ski season, a third of all ski lifts are now open! If you can’t make it to the mountains quite yet, be sure to experience the next best thing with Street View imagery from some of the most popular ski destinations. Philadelphia, Pennsylvania is full of iconic landmarks from American history. 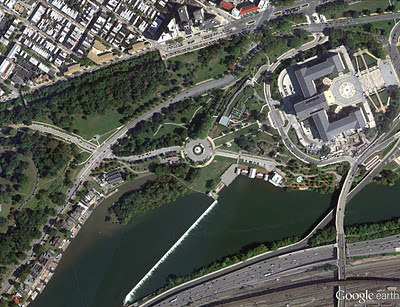 The aerial image shown below, which was acquired this past October, shows some of the most well known buildings along the east bank of the Schuylkill River. At the bottom left of the image are the fifteen structures comprising Boathouse Row, and the upper right shows the Fairmount Water Works and the Philadelphia Museum of Art. In the far right corner of the image are the stone steps made famous in the Rocky movies. 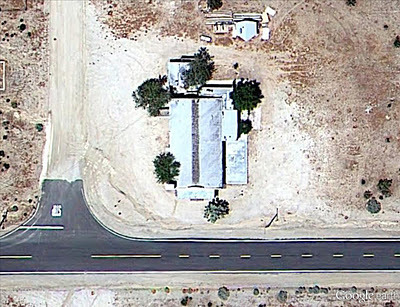 “X” marks the spot in the satellite image below of part of Miramar, Argentina. 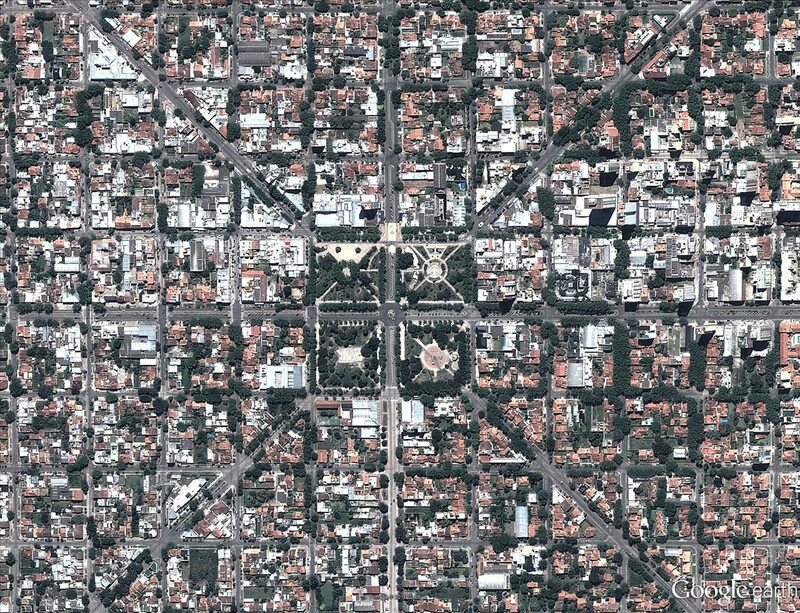 Of course, the feature is comprised of roads that lead to the town’s central sculpture, Monumento al Gral Alvarado, and the four parks comprising the central plaza. 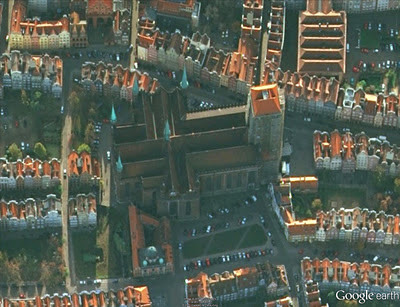 As we close in on the Christmas season, it seems appropriate to feature several well known churches that have been updated with new imagery. 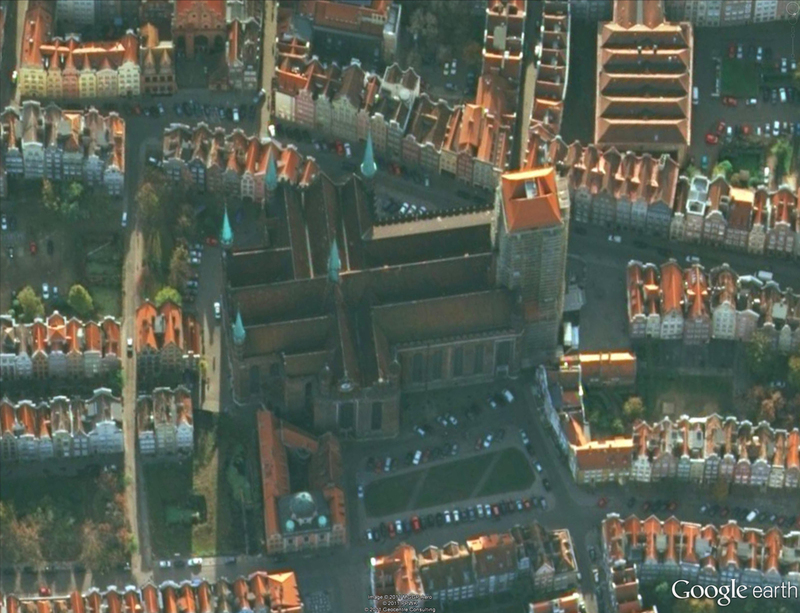 The first example, shown below, is aerial imagery of the Basilica of the Assumption of the Blessed Virgin Mary, in Gdańsk, Poland. The structure is considered one of the largest Brick Gothic buildings ever constructed, and has sufficient space to hold 25,000 people! 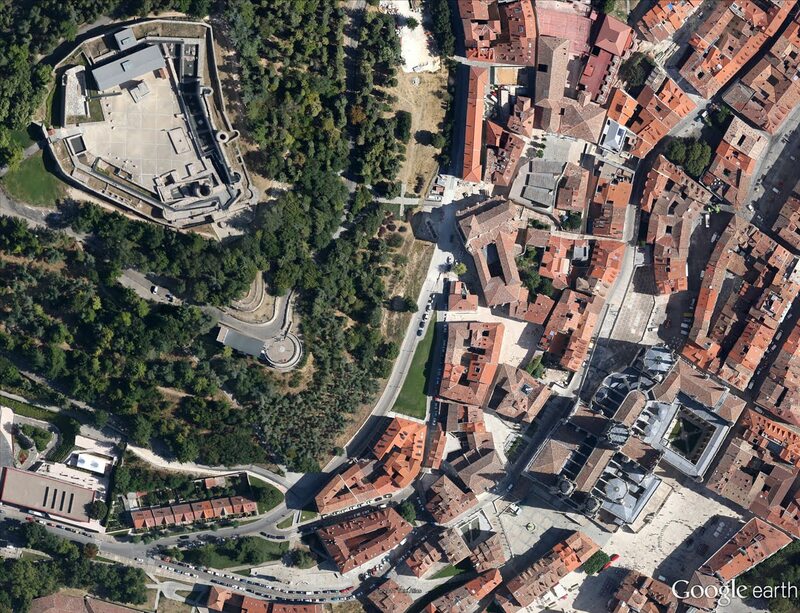 This next example shows updated aerial imagery of Burgos, Spain. 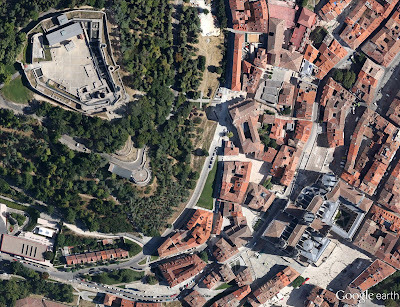 In the upper left, is the Burgos Castle, overlooking the Burgos Cathedral in the lower right. This cathedral is famous for its vast size and unique French Gothic architecture. The winter and holiday seasons are quickly approaching but that hasn’t stopped the Google Earth and Maps Imagery Team from updating aerial and satellite imagery throughout the globe. Today, we’d like to share several interesting features identified in this latest release.